Update: The Falcons have signed A.J. Hawk. A promising start to the season for the Atlanta Falcons doesn’t mean they’re not working to improve the team, especially on defense. Linebacker A.J. Hawk might be their answer to the position’s injury crisis at the team. The 3-1 Falcons are dealing with injuries to Sean Weatherspoon, Paul Worrilow, De’Vondre Campbell and Deion Jones. The Falcons have the number one offense in the NFL through the first four games, but only 3 teams have given up more points, while they’ve given up over 102 rushing yards per game and close to 420 yards in the air each time. They’re hoping Hawk helps them deal with their injury situation, and maybe bring a bit of his experience at linebacker (mostly as the guy in the middle) to help slow teams down. Hawks was the fifth overall pick in 2006 out of Ohio State. The 32-year old played for the Green Bay Packers from 2006 to 2014, missing only two games. 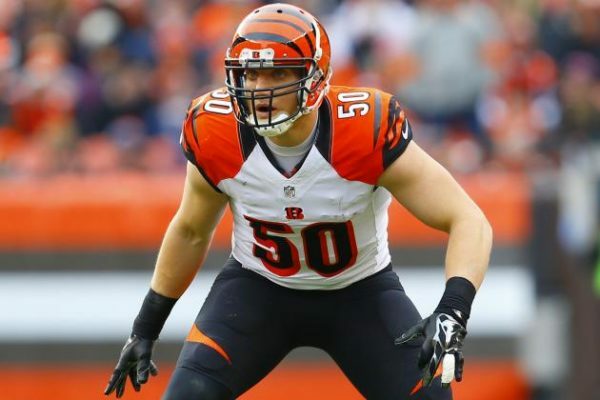 He signed a two-year deal with the Cincinnati Bengals last season, but was released after the first season, featuring in all 16 games for them last season, finishing with one sack and 24 tackles. Hawk is a Super Bowl champion with the Packers (2010), and in his younger days was one of the better pass-pickers among linebackers, with 9 career interceptions, including 3 in 2010. He had a career-high five sacks in 2014, his final season with the Packers.